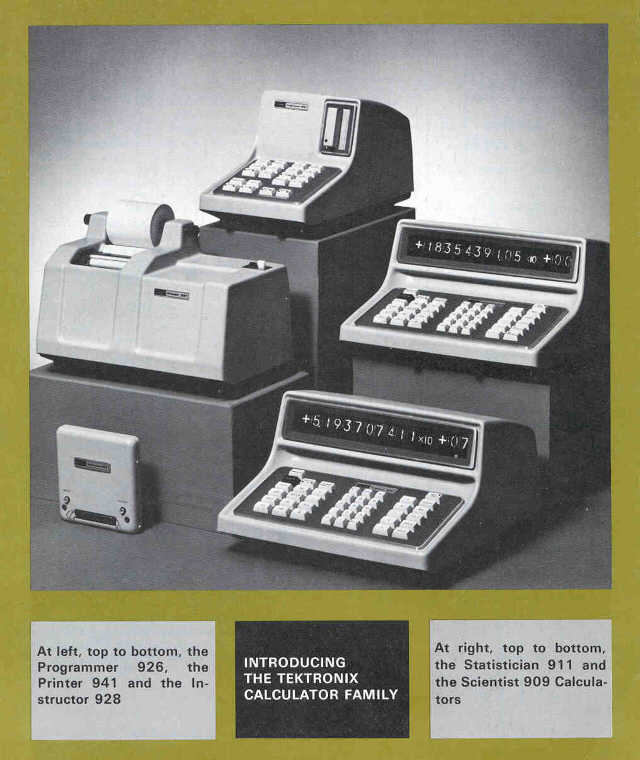 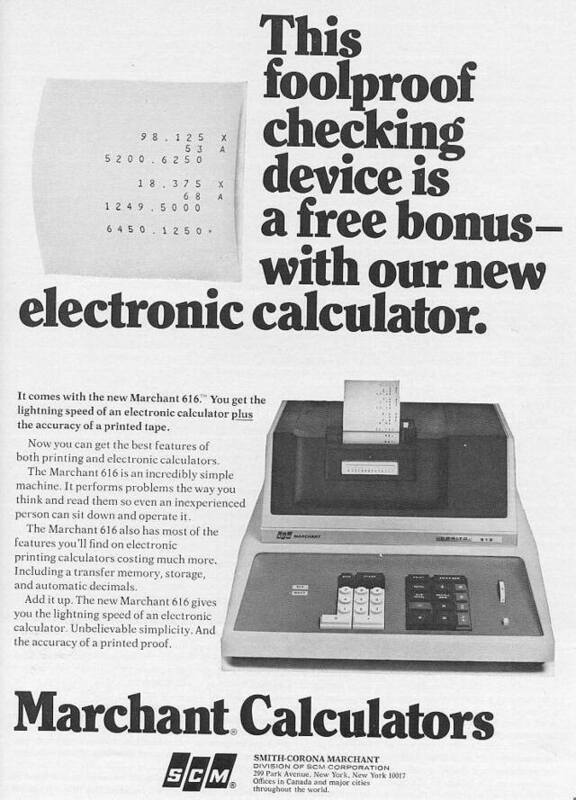 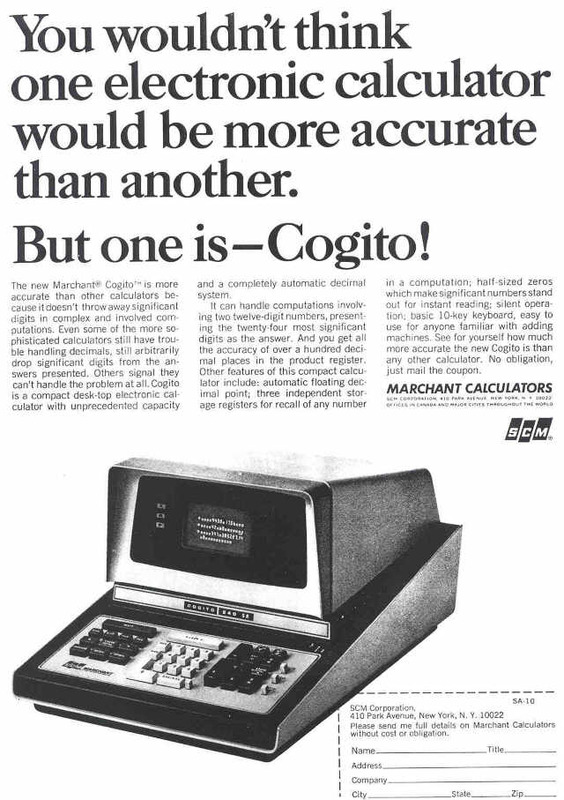 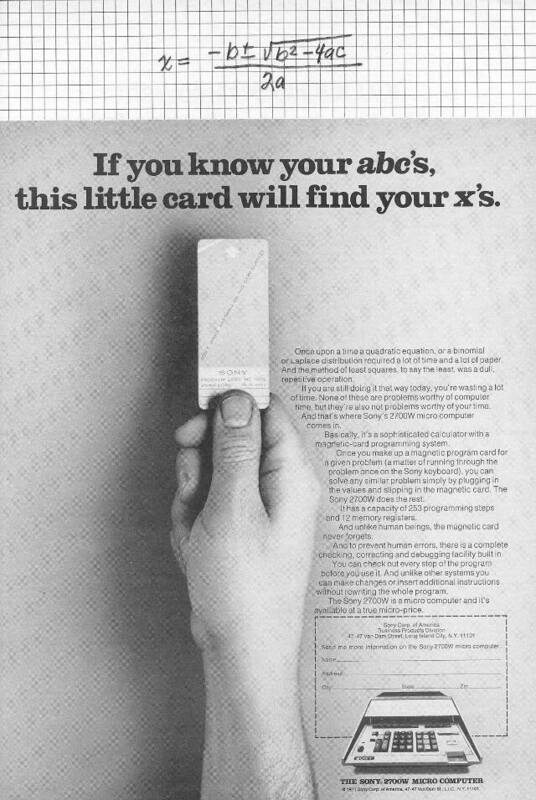 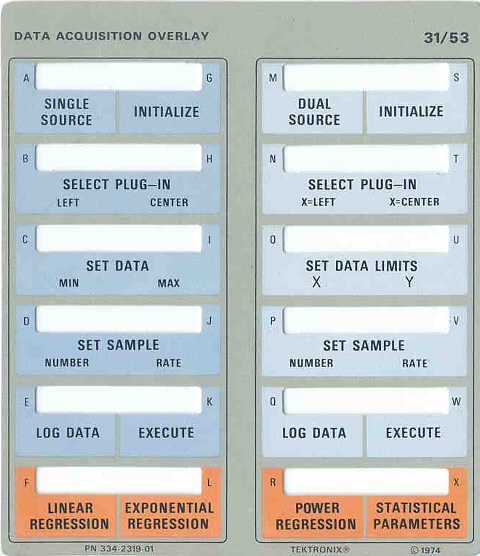 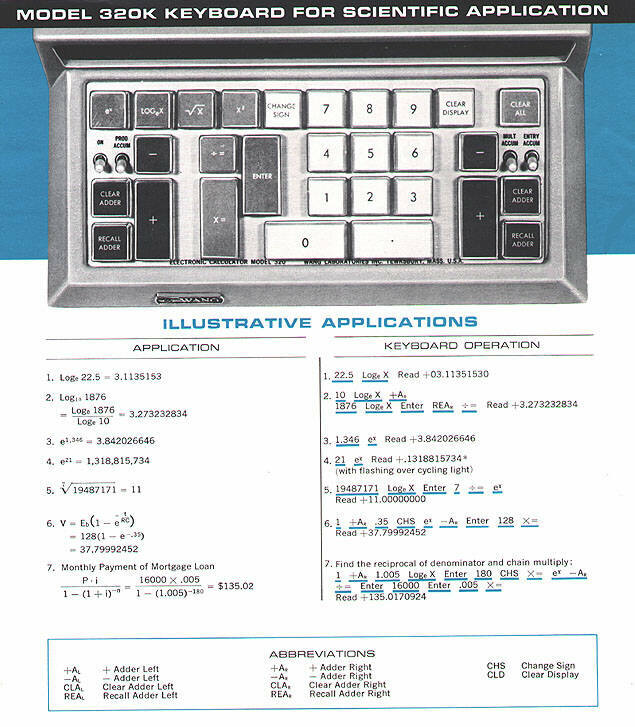 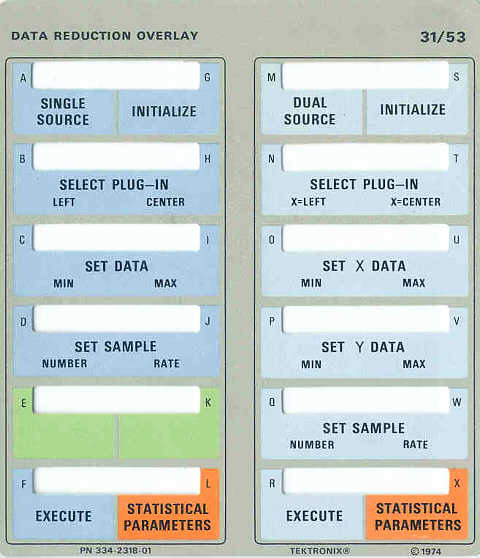 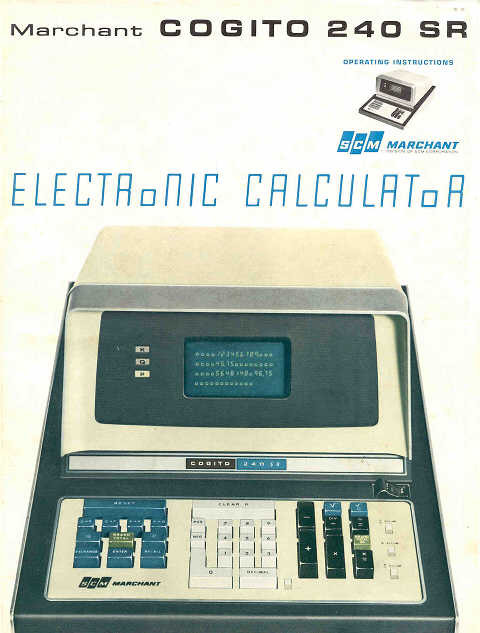 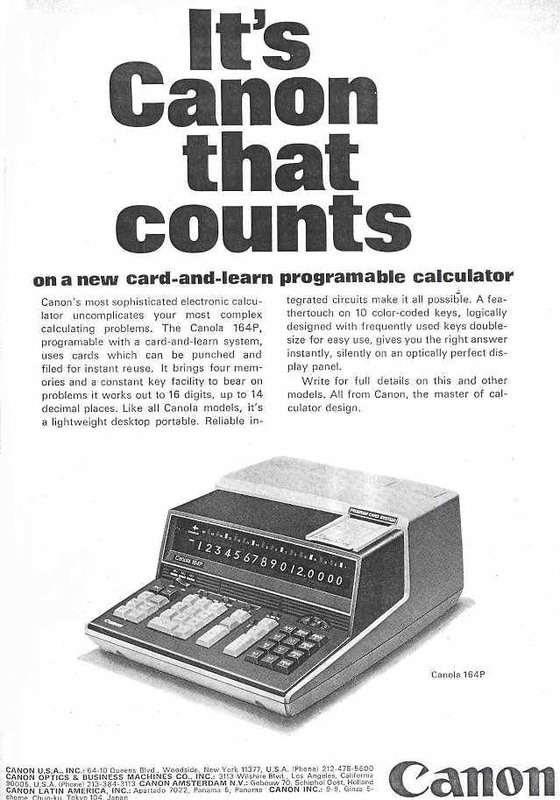 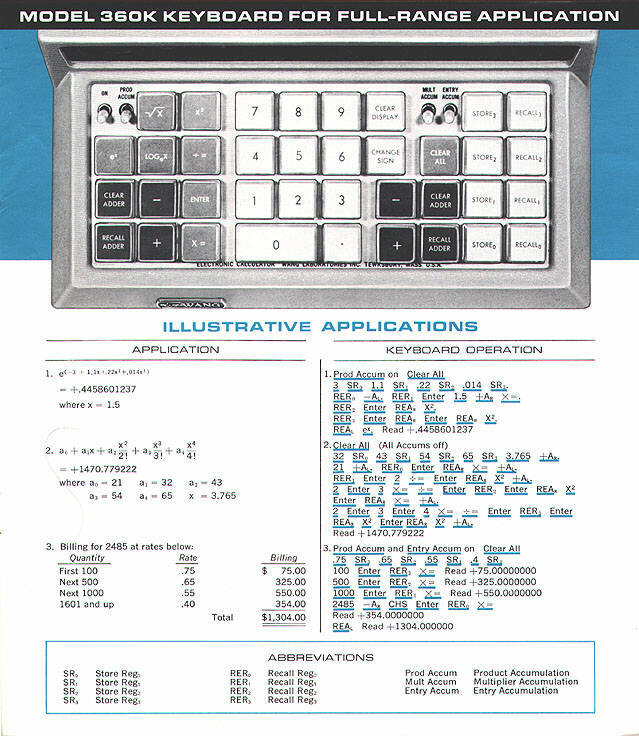 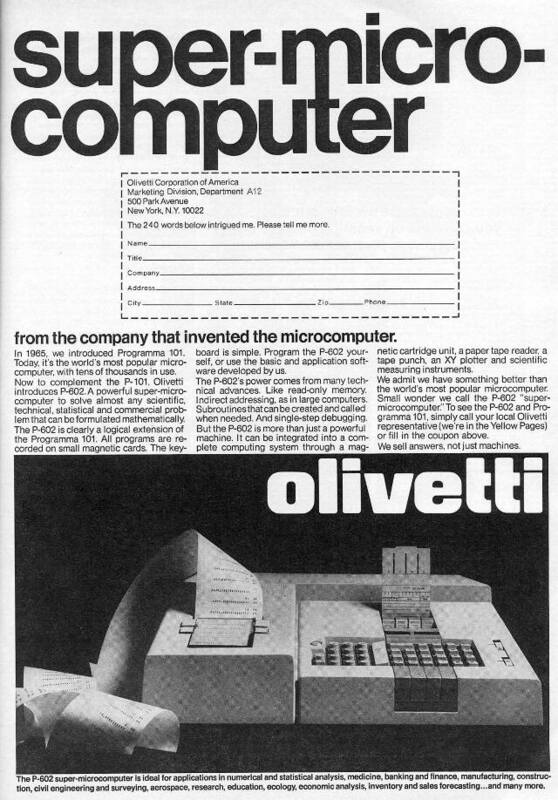 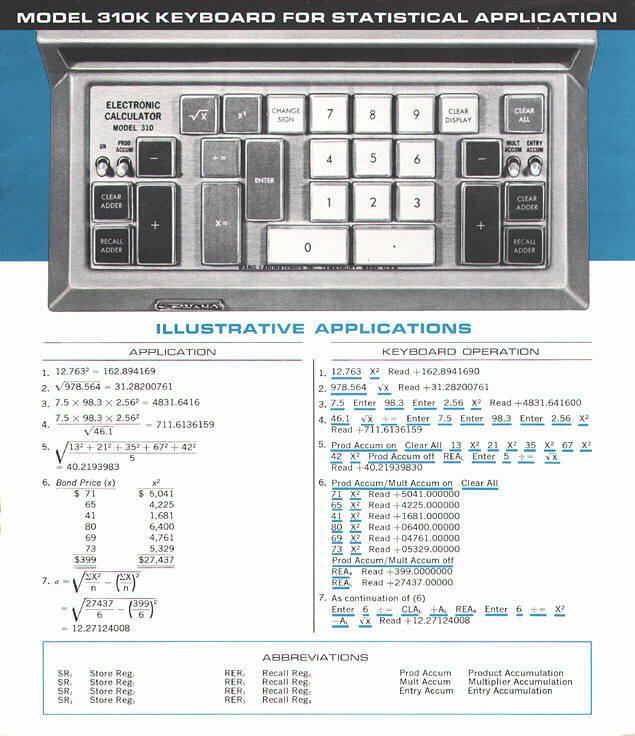 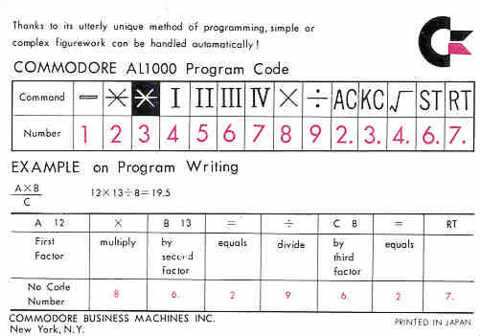 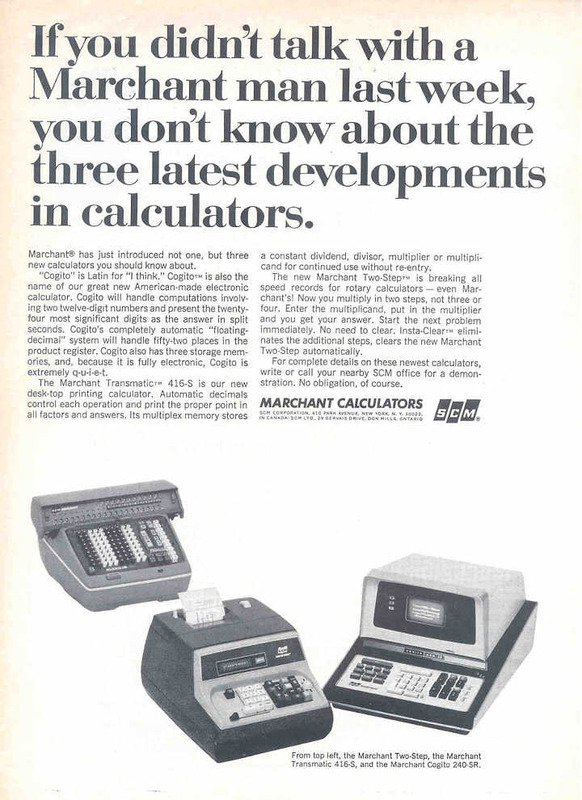 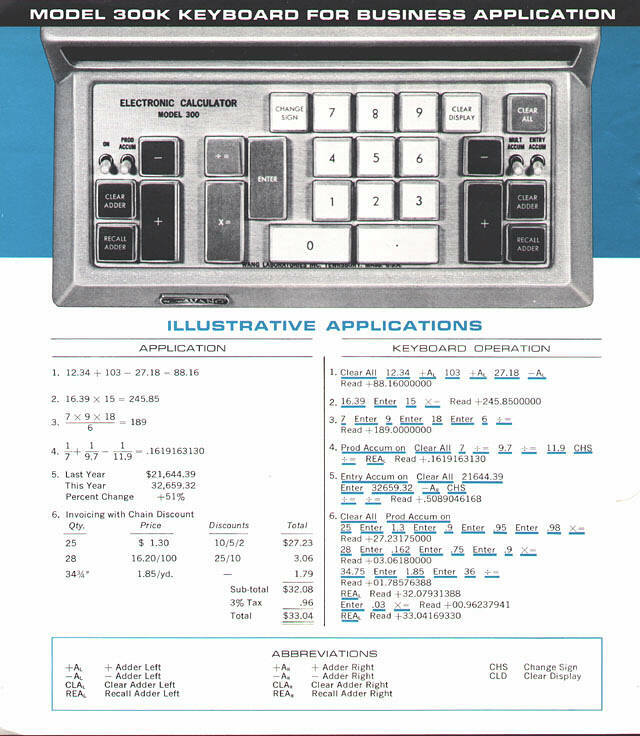 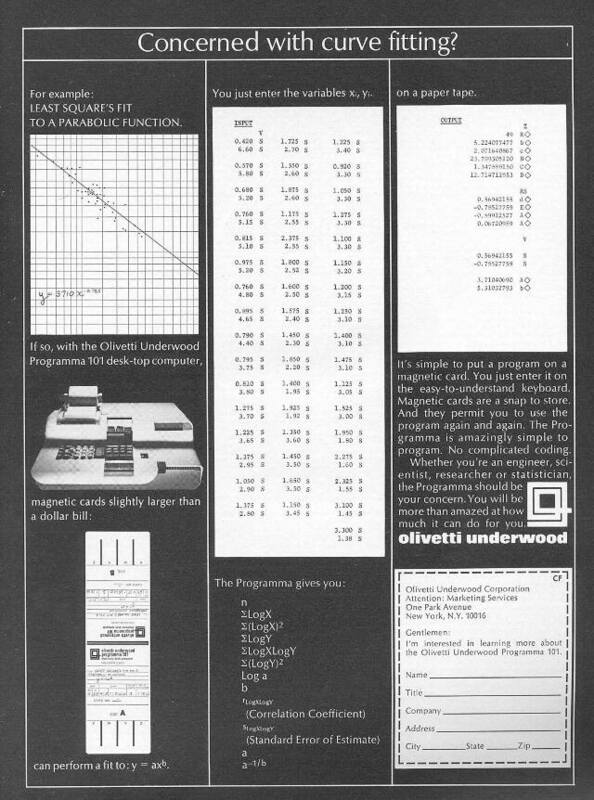 This page of the Old Calculator Web Museum is devoted to advertising and collateral materials for old calculators. 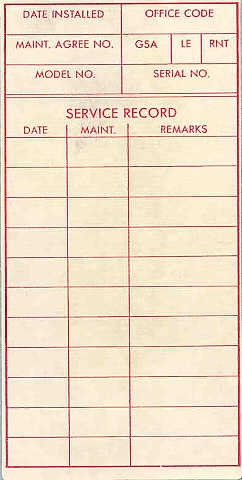 Items are arranged in oldest to newest order. 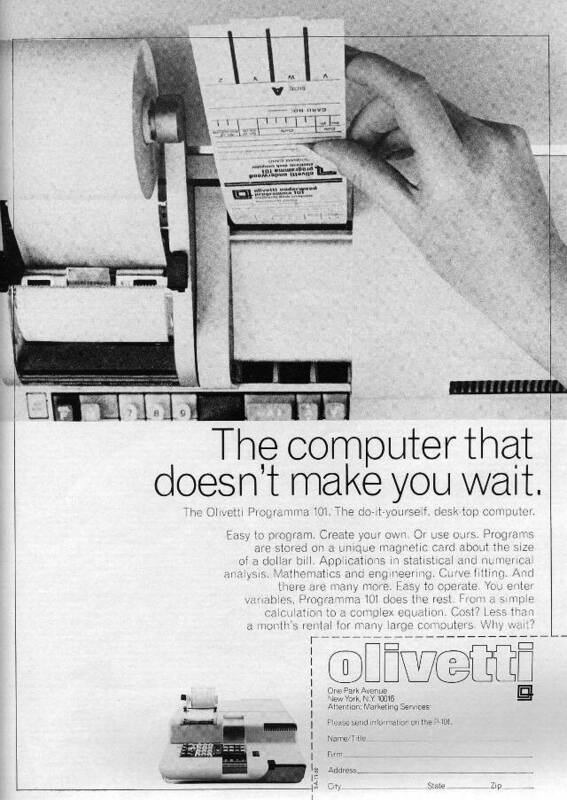 Please note that some of the advertisements can take a little while to download. 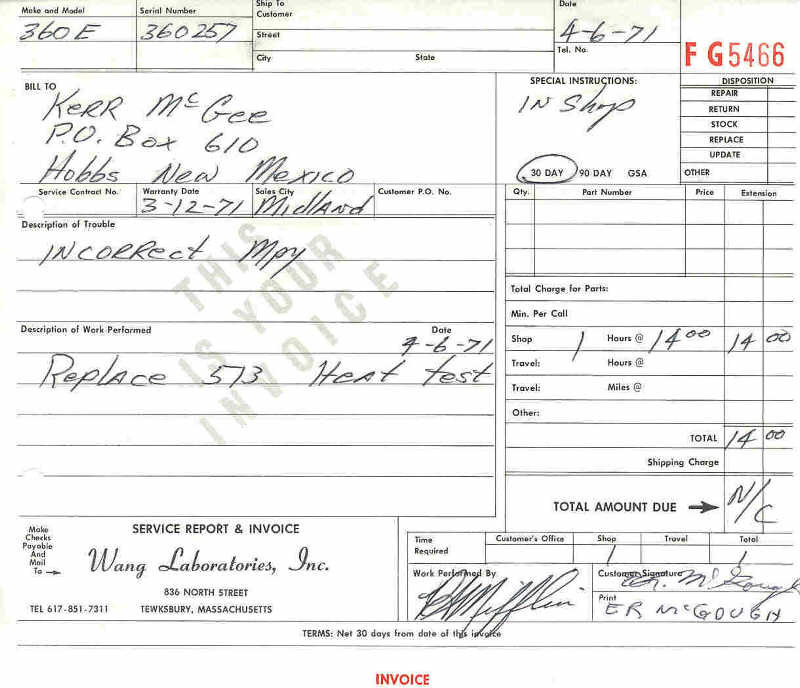 Sizes of documents are included to help you determine download times. 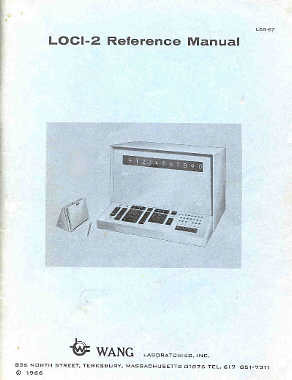 Mostly only the covers of manuals in the museum's library are shown to preserve storage space. 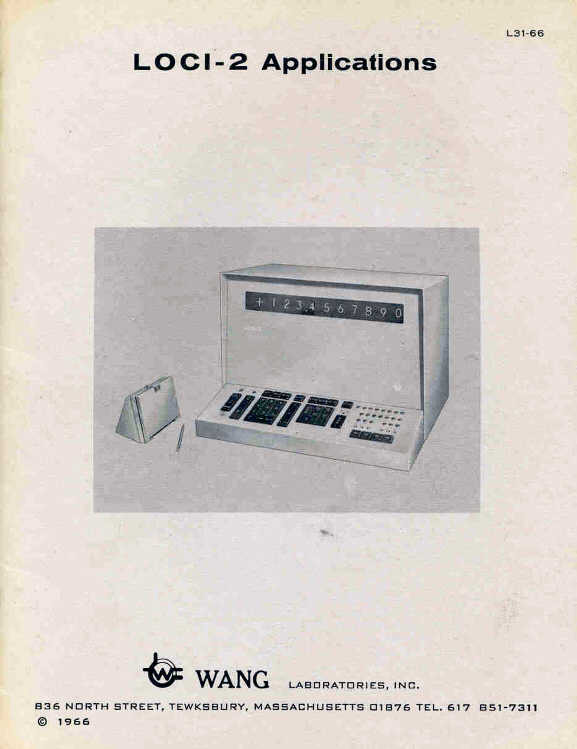 If you are interested in a scan or copy of a manual shown in the library, please contact the curator by clicking the EMail link in the navigation bar above. 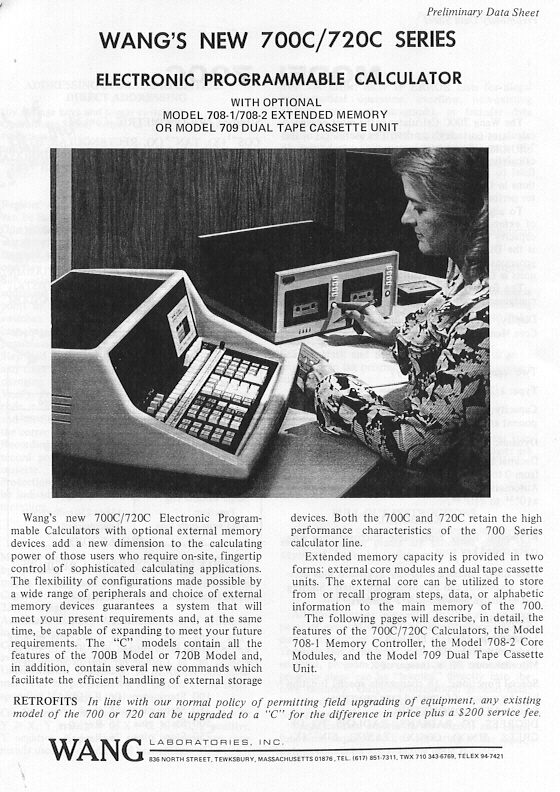 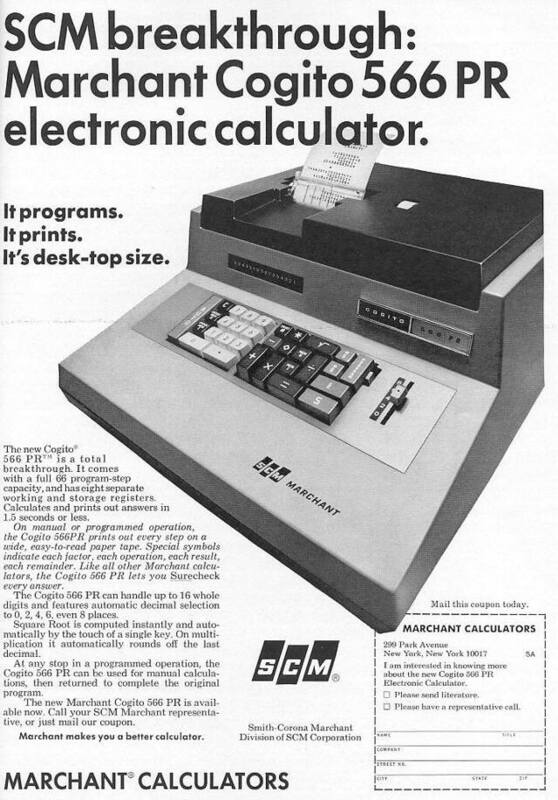 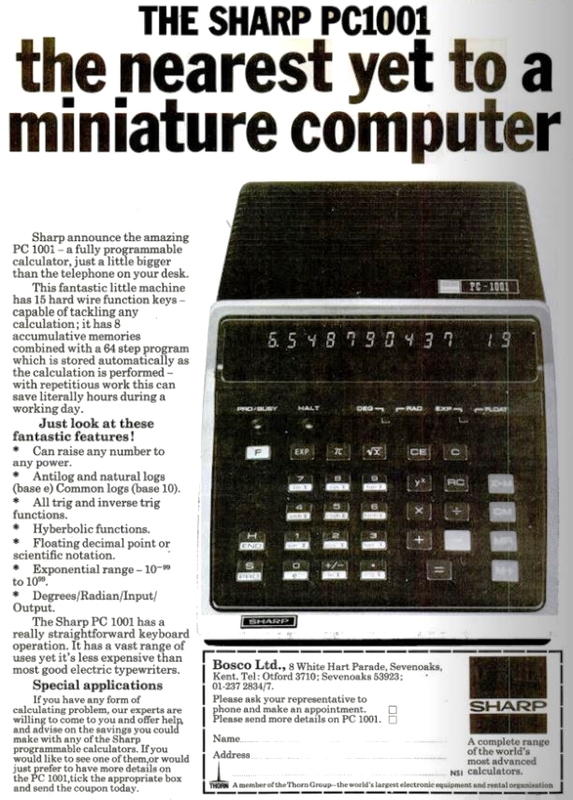 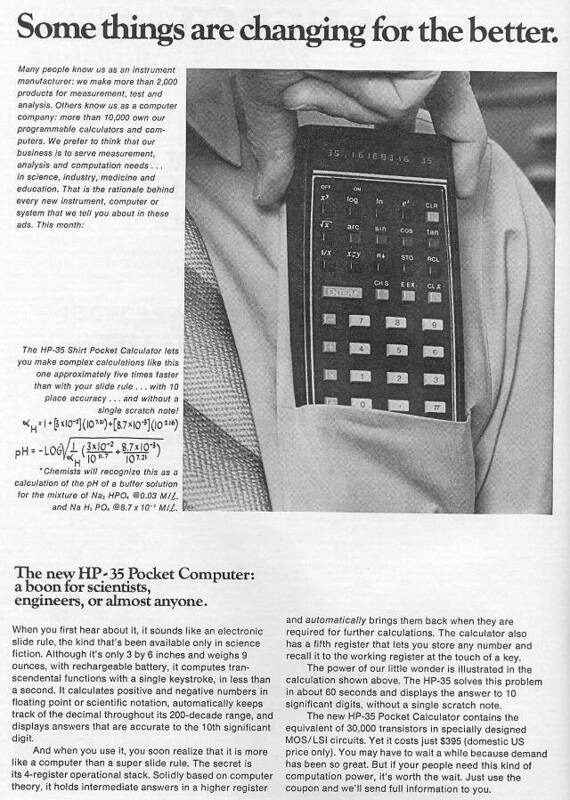 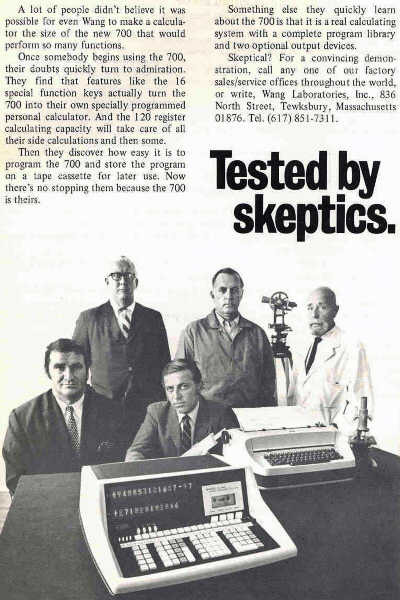 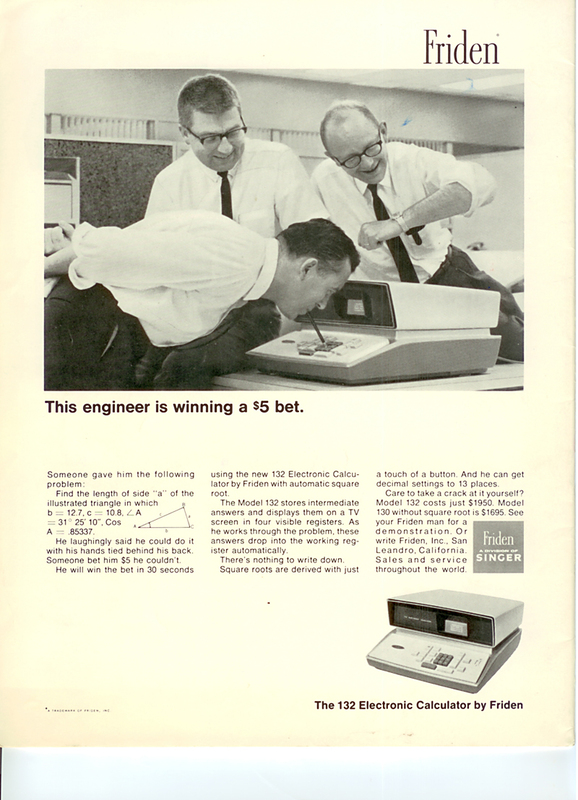 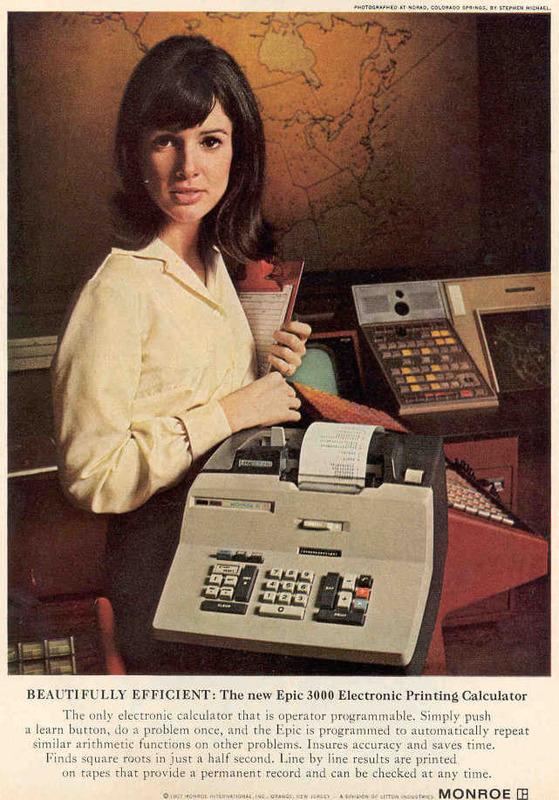 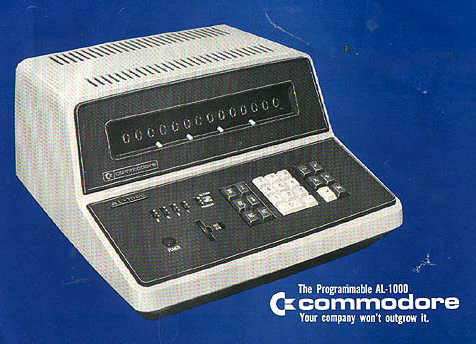 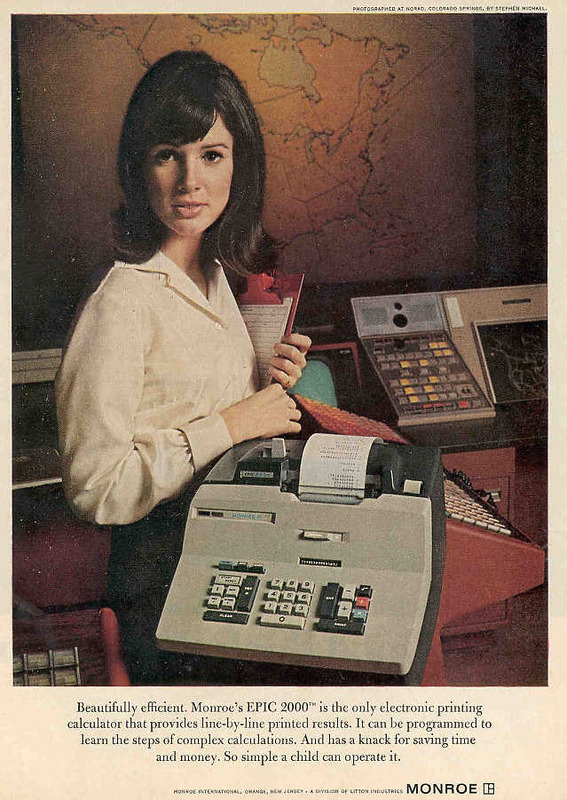 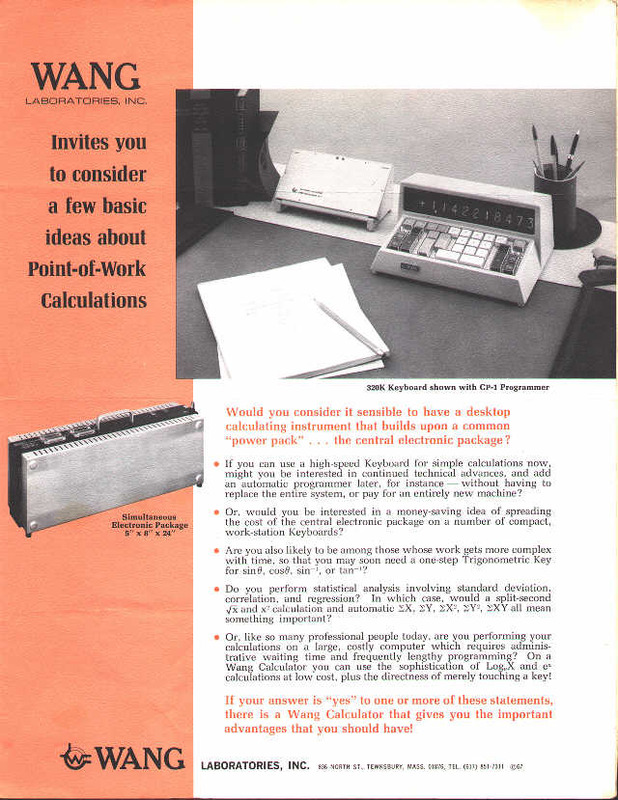 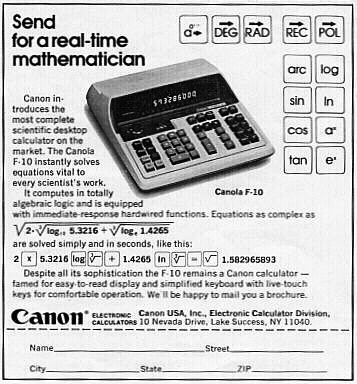 Control Data Corporation "Remote Calculator"
Ad: "We introduced Doctor Shockley..."
Marketing: "Electronic Desk Calcuator with IC - Compet 32"